I didn’t update this site when I posted eps 7 and 8 and I’m not sure why, but the latest episode is available! 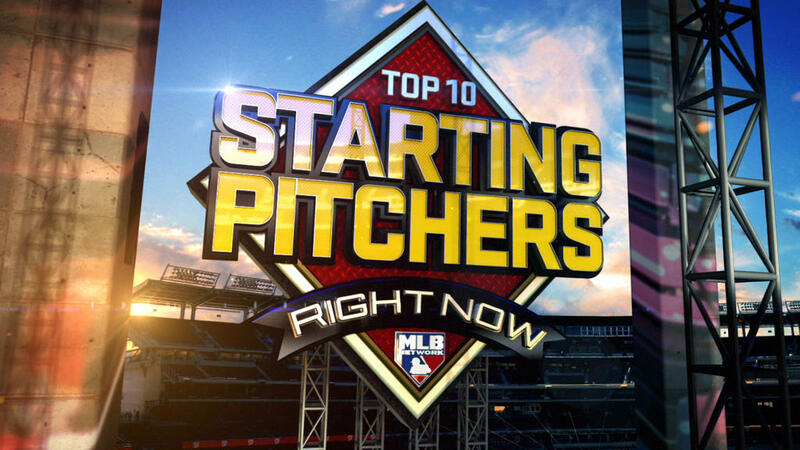 From the gentlemen who brought you the 2013 Starting Pitching Guide comes a brand new podcast dedicated to… wait for it … pitching!!! We started discussing the notion of this podcast all the way back in the winter when we first linked up to discuss the guide. Then after the success of the SP Guide and just how well we got along, it was a no-brainer to follow through with that original idea and thus a pilot episode is born. For those of you who like long-form podcasts, you’re going to be drooling over this one. That said I think I’ve come up with a way for it to appeal to even those who don’t like long-form. If you want to stretch the podcast out throughout your work week, I have labeled all of our segments by timestamp so you can pick & choose what you want to listen to as it fits your available time. We don’t yet have a name for the show, but I think we’ve decided one and once it’s set in stone, we’ll be in iTunes. We will also be setting up the obligatory email, Facebook page, and Twitter accounts, too. Until then, we would love your emails at thespguide@gmail.com for questions you would like answered on the show. This is entirely a starting pitcher episode, but it’s a pitching podcast at large so if you have questions about relievers, that works. We do inject a little fantasy baseball talk into the show, but we’re not fielding any “should I trade for pitcher x or cut pitcher z?” questions. My other show, The Towers of Power Fantasy Hours, is fantasy-related and that would be the avenue for those types of questions. We also encourage you to watch our Game of the Week discussed starting at the 2:55:05 mark so you can follow along as we discuss it on next week’s episode. Tonight MLB Network will continue the 2013 iteration of their “Top 10 Right Now” series at each position capped off with a “Top 100 Overall”. They will air both the relief and starting pitcher shows on Friday evening. I always enjoy this series and generally look forward to it after the New Year since I eat up just about any fresh baseball content I can as we wait for pitchers & catchers to report. Instead of putting up my lists after they air their selections, I’ll post mine ahead of time and then compare notes after the shows air. This list was even harder than the relievers one as I just want to include so many guys. To spare you, the reader, I’m only going to include a few of honorable mentions. Roy Halladay (PHI) – Since it is “right now”, I couldn’t justify his inclusion coming off of an injury-marred season that was easily his worst since 2004. From a fantasy angle (which isn’t entirely relevant in this NON FANTASY list) I still think he’s being criminally underrated early on in mock drafts and rankings I’ve seen, but he’s not a top 10 guy right now. C.C. Sabathia (NYY) – This has a lot more to do with how deep the top of the starting pitcher pool is than anything Sabathia hasn’t done. There are no obviously flaws in his games, he’s absolutely amazing, but there are only 10 spots, so he’s on the outside. Yu Darvish (TEX) – I couldn’t just play favorites and put Darvish in ahead of more deserving candidates. He took a while to get his feet under him last year and while I think he will show his top 10 worthiness this year, this list is about right now as opposed to projection. So it is with great pain that I leave Darvish out. 10. Matt Cain (SF) – See what I mean? Leaving Cain off would’ve felt silly yet that’s what I would have to do to get Darvish included. Track record doesn’t weigh heavily on a “right now” list, but even just the 2012 track record favors Cain in terms of pure results. He’s awesome and he’s getting better each year. He doesn’t post the gaudy strikeout totals I drool over, but he’s proven you can be great with just a solid 20ish percent rate. 9. Gio Gonzalez (WAS) – If you think this rating is crazy, you haven’t watched him pitch enough. He keeps adding to his strikeout rate going from 20 percent in 2010 to an NL-best 25 percent last year. Meanwhile he made his first real dent in his walk rate last year dropping it a full percentage point to nine, which isn’t great, but easier to overlook when a quarter of the guys you face are walking back to the dugout after three strikes. 8. R.A. Dickey (TOR) – Absurd. Just completely absurd. His 2012 season was so freaking incredible. Seemingly out of nowhere, he ups his strikeout rate from 15.3 to 24.8 percent while actually incrementally improving his walk rate from 6.2 to 5.8 percent. Just bananas. He deservingly won the NL Cy Young and now gets to peddle his wares in the AL East with Toronto. I basically had Dickey and the next two guys neck and neck so I used track record as the tiebreaker. I’d still take these next two over him in a one-game situation. 7. Cole Hamels (PH) – When you factor out how much I’m responsible for myself, Hamels just doesn’t get enough love as an ace-level pitcher. Part of it is that he’s obscured by his rotation mates, but part of it is just that I think some fail to recognize how great he’s been the last three years. He had the 8th-best strikeout rate (24.9 percent) in the majors last year among qualified starters and only Dickey bested his 6.0 percent walk rate among those eight and it was by 0.1 percent. 6. Cliff Lee (PHI) – How did he win six games and fan 207 batters last year? I know wins and strikeouts don’t exactly go together, but the point is that he was just too good to be saddled with such a lame record (6-9). He walked a laughable 28 guys in all last year, too. His 3.3 percent walk rate was baseball’s best by nearly a full percent over Bronson Arroyo and Joe Blanton (4.2) and then of course there is the fact that he was also light years better than them in every other skill-based metric. 5. Felix Hernandez (SEA) – The top five were pretty easy for me in terms of who belonged in it. You can quibble over the order, but the group should be pretty consistent among anyone making such a list. Listing Felix fifth just doesn’t feel right, but I don’t see how I could get him any higher even as he continues to dominate. A career-best six percent walk rate accompanied fifth straight spike in strikeout rate, though just a small bit from 23 percent in 2011 to 23.8 last year. Oh, and he threw a perfect game. 4. Stephen Strasburg (WAS) – There is little doubt in my mind that he could’ve gone well past his innings limit without issue, but the Nats painted themselves into a corner. In the 159 innings he did throw, he was simply amazing. If he had qualified (requires 162 innings), his 30.2 percent strikeout rate would’ve topped Max Scherzer’s gaudy 29.4 mark for baseball’s best. He has three excellent pitches that he uses to devastate hitters. His changeup might be the best of the bunch generating a ridiculous 29 percent swing-and-miss rate. It was accountable 53 percent of his 197 strikeouts, too. 3. Clayton Kershaw (LAD) – As I mentioned earlier, I thought Dickey was a deserving Cy Young winner, but he wasn’t the only deserving candidate. Kershaw was right there and you can probably argue that wins and a great story are the only things that cost Kershaw a repeat. He led baseball in ERA for a second straight season, posted the same 6.7 H/9 mark which not only led the NL like it did in 2011, but all of baseball this time, and he led the NL in WHIP for the second straight season 1.02. His 14-9 record plus not being a knuckleball journeyman likely did him in. 2. David Price (TB) – Price showed flashes of greatness in 2010, though his 2.72 ERA was probably a bit more favorable than his numbers seemed to “deserve”. Then in 2011, he went the other way improving his underlying numbers and likely should’ve ended up with a result better than his 3.49 ERA. He finally found the right potion in 2012 repeating his 2011 base skills (24% Ks, 7% BBs) while adding a crapton of groundballs (moving 44 to 53% groundball rate) and sharpening up with runners on (moving from 73 to 81%, second to only Jeremy Hellickson at 83%) to turn in a Cy Young performance. His curveball was the driving force yielding a meager 368 OPS and generating 44 percent of his 205 strikeouts. 1. Justin Verlander (DET) – Verlander had an amazing follow up campaign to his Cy Young/MVP season in 2011 and like Kershaw, he had a very strong case for a repeat at Cy Young, but it wasn’t to be for him. He lost out by four points (whereas Dickey inexplicably crushed Kershaw, whose repeat case was probably stronger than JV’s). He again paced the entire league in innings and total strikeouts, but dropped seven wins off that flashy 24 count from last year dropping below the famed 20-mark. By the way, Verlander is an instructive case for why I’m referencing strikeout percentage a lot more these days. He had an 8.96 K/9 in 2011 and 9.03 K/9 last year so there’ll be plenty of analysis stating that “he even raised his strikeouts!! !”, but he didn’t actually do that. He fanned 25.8 percent of batters in his dream season of 2011, compared to a flat 25 percent last year. Small difference, but important nonetheless. Despite not winning any end of season awards, I doubt you will get much argument on Verlander as the best pitcher in the game, though the latest chic thing to do is to project a 2013 injury for him based on these recent workloads. It’s the most risk-less “bold” prediction you can make, so don’t fall into the trap of doing so to appear ballsy. Predicting any pitcher to get hurt is like guessing that Lindsay Lohan will be arrested soon. Both are ticking time bombs. Always. As much as I hate the miserably cold (relative to our climate) weather that has besieged Austin, I am comforted by the knowledge that baseball is on the way and we are seeing more baseball preview content up every single day. Soon MLB Network will start their 30 Clubs in 30 Days series and with that hopefully the bitter cold of mid-20s with near single digits wind chills will head back to the Midwest and Northeast where it belongs. I wish this kind of weather understood how unwelcomed it was here in central Texas. Go back to the people who are insane to actually crave four seasons of weather. I’m fine with one: summer. Ray Flowers (@BaseballGuys) has a fun series over at RotoTimes.com called “I Like Because…” where he digs deeper on some second and third tier players to show their upside. He makes his case for getting away from the term “sleeper” positing that in the information age, they don’t really exist. I see where he is coming from on the whole sleeper thing mainly because I think there are different levels of players being undervalued and putting them all under the header of sleeper simplifies it too much, but no need to rabbit-hole on that right now. I still use the term, but I like to categorize my sleepers when I do articles dedicated to identifying them. I don’t agree with everything in the article, but I do like that he gives some love to Justin Masterson, someone I’ve been a fan of for a couple of years now. Masterson didn’t perform as I expected last year as he continues to get positively obliterated by left-handers. He needs to figure that out if he is ever going to reach his potential. For his career, lefties have a .291/.381/.433 line against him while righties are much worse at .228/.304/.322. Until he shows noticeable improvement against southpaws, he is a spot-starter against right-handed-heavy lineups only. Over at FanGraphs, Carson Cistulli (@cistulli) did some great analysis in examining some of the top scouts of the last five years. Through his own admission, this piece is merely a jump off point to further analysis, but it is a very interesting study that I look forward to seeing fleshed out either by Cistulli or others. As the baseball season draws nearer, so too does the release of MLB 2K11 (March 8th), the latest of a series that just keeps getting better annually. Initially the bar was pretty low, but last year was a huge stride forward and 2011 is setting up to be yet another large step toward perfection. Jon Robinson got a chance to interview Roy Halladay, this year’s cover, and discuss aspects of pitching a perfect game in 2K11 which is again will be worth a million bucks as it was last year, though Halladay admits it will be tougher. I took a few no-hitters into the 8th inning last year and one into the 9th, but I was never more than six innings into perfection. Operation Sports has plenty of MLB 2K11 coverage, too, including screenshots and previews. MLB.com has released their fantasy baseball positional previews. It’s a great primer to kick off your 2011 fantasy prep work. 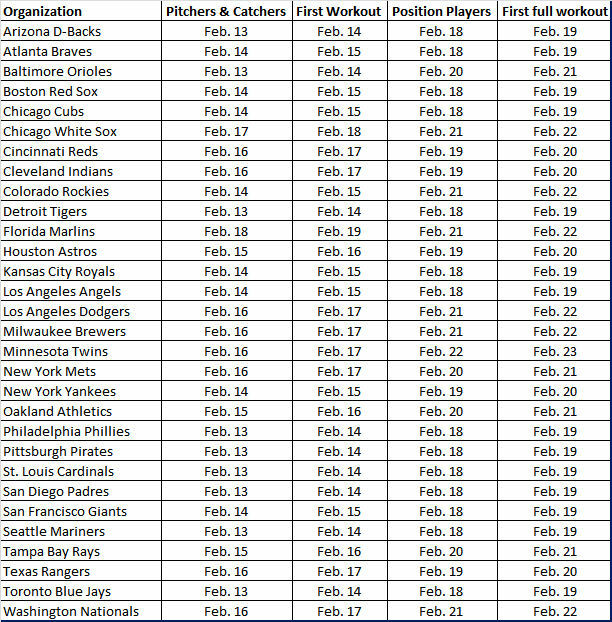 They go deep at every position with 73 catchers, 83 first basemen, 95 second basemen, 85 third basemen, 81 shortstops, 202 outfielders, 21 primary DHs, 230 starting pitchers and 128 relievers. Each player capsule has the pertinent previous 3 years of stats, projections for 2011, a dollar value, a paragraph with their outlook and a “Fantasy Bottom Line”. Best of it, it’s all free. It would be a value at $8-10 which is what you would pay for a fantasy magazine that is outdated long before it hits the shelf. Want another opinion on players? How about four more opinions? Yahoo’s team of guy has released their positional rankings as well as a top 100. These rankings are short on analysis containing just the 1 through however many deep each position goes, but the Y! gang will have plenty of content coming out throughout February and March so this is just something to whet your appetite for now. Over at AOL Fanhouse, Frankie Piliere (@FrankiePiliere) released his top 100 prospects list for 2011. His #1 player won’t surprise, but his #2 might as might a noticeable absence from the top five. Piliere has experience as a talent evaluator and scout so this is far from a dartboard approach to he is using. He certainly doesn’t tow the industry line either. I scanned the list 1-100, but I’ve yet to read every capsule so I’m interested to see his analysis on players (1-50 have a paragraph of breakdown included). Bill Ladson was on the Beyond the Boxscore podcast this week and he said he expects Stephen Strasburg to be pitching in September of this year. 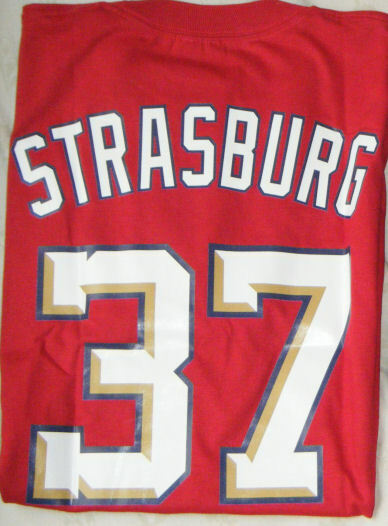 That’s probably the most aggressive projection for Strasburg’s return as many have had him out for all of 2011. If this is true, it possibly raises an interesting question for non-keeper drafters about whether or not to take Strasburg and when. Obviously if you have to keep him in the active roster all year, there is no way you would draft him in March. However, if there is a reserve roster system in your league then you have to weigh the potential of him helping you for a stretch run against killing a precious roster spot for a guaranteed five months. For me personally, I wouldn’t even entertain it, but that’s my conservative approach. Who knows what he would even deliver in six or seven starts to close out the season. He could be like teammate Jordan Zimmerman who went 1-2 with a 4.94 ERA, 1.32 WHIP and 7.8 K/9 in seven starts or slightly better like Tim Hudson in 2009 who went 2-1 with a 3.61 ERA, 1.47 WHIP and 6.4 K/9 also in seven starts. Neither was a game-changer for their owner down the stretch, but neither has the talent of Strasburg, either. OK, I like Blake Griffin as much as the next guy, but what the hell is going on here?? It’s pretty hilarious if you ask me, but definitely in a creepy kind of way. In addition to being hilarious, this is also awesome: Saved by the Bell Megacast! I don’t have a clue who Rob Cesternino or Eric Stein are, but by listening to the podcast I eventually learned that they are reality TV people of some sort. That information is totally irrelevant. All that matters is that they did a 2 hour and 51 minute podcast devoted solely to Saved by the Bell. If you grew up loving the show like I did, watching the 2 hour blocks on cable during the weekdays and then the new episodes on Saturday mornings on NBC, then this is a must-listen. Knowledge Bomb: In keeping with the theme of ranking lists being released today, I’ll share my top 24 catchers for 2011 in today’s KB. Catcher remains top-heavy in terms of star power, but the next level down is much deeper than it has been in past years. Catcher is a tough position to figure in fantasy baseball because it’s the only position with built in days off and the grind of catching can easily add extra days off to that total thanks to nicks and bruises throughout the season. It is rare that the top catcher will be on par with the top guys at the other positions. The exceptions are transcendent seasons like Joe Mauer’s 2009 campaign. One strategy to consider is find catcher-eligible guys who will spend a lot or even most of their time elsewhere on the diamond this year. Their value will still be highest at catcher on your roster, but if their team plays them at first base, outfield or DH, that’s a good thing for your team. Overvalued: Buster Posey – his great debut and playoff exposure has him going in the 4th round of a lot of drafts. That’s really high for most catchers, but especially for those with just 423 at-bats on their record, even for a wunderkind like Posey. Undervalued: A.J. Pierzynski – he’s not great by any stretch, but he’s often overlooked. 2011 will be no different as a putrid April and weak May tanked his numbers and covered up a .299 AVG/.719 OPS in the second half (up from .247/.664). Best of the Rest: Josh Thole – a great approach at the plate (24 BB/25 K in 227 PA) plus a wide open chance at the full-time gig gives the 24-year old a chance at a solid season. He’s never had even a modicum of power (10 HR in 1733 minor lg PAs) and that’s really what you want from your backstop which is why he didn’t crack the first 25. Rookie to Watch: Jesus Montero – it’s hard not to be impressed with the prospects of Montero as he has ripped through the minor leagues like few before him, but the presence of Posada and Martin make it tough to project much playing time for the 21-year old right now. Given that he needs to work on his defense if he expects to stay behind the dish, he’s like to spend a lot of time in AAA to hone his defensive skills. Though it is still only May, it looks as though the Nationals won’t be dead last in the NL in OPS. Last year, they posted an embarrassing sub-.700 (.696) that was “topped” by only the Oakland Athletics (.686) in all of baseball. This year has been markedly different with the Nationals improving nearly 100 points in OPS to .794 that is good for 4th in the NL and 8th overall. Adam Dunn has been a huge addition with nine home runs already, but also an impressive .297 average. He has never hit anywhere near that level so it is safe to bet that the average will come down at least a bit. He has seasons of .264 (2007) and .266 (2004) that stand as his two highest. With one of the game’s best batting eyes and a commitment to not being a batting average anchor, Dunn is capable of .275-.280, but even if he only manages to match his career high of .266, he will still post a .400+ OBP with 40+ home runs. Cristian Guzman has spent some time on the DL already this season, but he has remained the hitting force he was last year carrying a .386 average with 12 multi-hit games and just two 0-fers in his 17 games played. Nick Johnson‘s ability has never been in question, but his inability to stay healthy has stunted his career. He’s healthy right now and back to being the high average-high on base perfect #2 hitter for this lineup. Typically you want big time power from your first baseman, but Dunn fills that role and takes the heat off of Johnson when it comes to home run hitting. The most impressive thing about the Nationals’ hot hitting thus far is the fact that it has come with NOTHING from Lastings Milledge (.397 OPS-now in AAA) and Josh Willingham (.693 OPS propped up by 10 walks; hitting just .174). Their worthlessness has been erased by the guys already mentioned as well as one of my favorites to rebound in 2009: Ryan Zimmerman. His only 0-fer of the season was in the 2nd game of the year which has resulted in an on-going 27-game hitting streak. He is hitting a robust .336 with six home runs and 21 RBIs. His 71 total bases are 2nd-best in the National League. The downside to Washington’s offensive uproar? It hasn’t translated to much in the win column as they are dead last in not only the NL East, but the entire National League with a 10-18 record. That futility rests on the shoulders of the pitching, or severe lack thereof. Only Joe Beimel (1.74 ERA in 10 IP) has an ERA below 3.60 on the entire staff. Only three others are below 4.66. After two strong starts in late April, ace-of-the-future Jordan Zimmerman has been rocked for 11 runs in 11 and 2/3rds innings over his two latest starts. Allowing him to learn on the job and take his inevitable lumps wouldn’t be a problem on team that had two or three other starters capable of stopping a losing streak, but on a team like this it just adds to the mess. It’s reminiscent of Jeremy Bonderman‘s 2003 rookie campaign on that God-awful 43-119 team that saw Mike Maroth lose 21 and would’ve featured two 20-game losers had the Tigers not purposely moved Bonderman to the bullpen to save him that hit on his psyche. I will be in D.C. for a game later this year and I’m hoping I’m the only one with that shirt, but since it’ll be a week after the draft, I’m sure there will be a few others floating around. And that’s also assuming that locals haven’t gotten the same exact idea I had and already own one. With the offense they have displayed in the early going and the potential rotation they’re developing, the Nationals may be making noise much sooner than most would have expected. I haven’t even covered some of their up and coming minor league arms like Ross Detwiler, Tyler Clippard and J.D. Martin, all of whom are off to good starts as well as Colin Balester, whom the organization likes a lot. The biggest hurdle for the Nationals is their four opponents in the NL East. It will be interesting to see what Strasburg does for the team and how they choose to play the free agent and trade markets in an effort to thwart their worthy competition within the division.